The Krijtberg masses are graced by music at the weekends and on special occasions. A number of organists play our big Adema-organ, which fills the church with its rich sound and supports the singing. Choirs The Krijtberg community has a Gregorian Schola Cantorum. Choirs/Soloists are also welcome to sing in our first Sunday’s mass (start 09:30). These guest musicians sing the musical liturgy of the Mass, supplemented with hymns from their own repertoire. Our church is proud of the rich variation in celebrations that they bring. Both the guest musicians and the Schola are conducted professionally, but also consist exclusively of volunteers, who donate their time, talent and enthusiasm to enhance the mass, and derive much pleasure from it. Cantor The cantor, Vincent de Lange, who is also a professional cellist, supports and encourages the community singing at the 17:15 evening masses on Saturday and Sunday, so that all those present can sing the English and Dutch songs respectively. In both these masses, Willem Stroman plays the organ. There is always room for new singers who want to join the choirs, “Ad maiorem Dei gloriam”, to the greater glory of God. Every Sunday morning at 09:30 we would like to celebrate a sung Mass. To be able to keep doing this we need singers! We are therefore looking for people who enjoy singing. It is great if you can read sheet music, but this is not necessary. What we ask is effort, loyalty to rehearse and positive energy. In the spirit of Augustinus who said: “qui cantat bis orat” (who sings, prays twice), we would like to lead the believers to musical heights. The intention is to eventually form two choirs, which alternately will take care of the music. 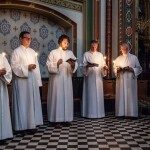 One choir will sing more traditional music, Gregorian, abbey psalms and known masses; the other choir will study more challenging music, for example, music from previous centuries, but also contemporary compositions. For the latter choir it is highly recommended that you are able to study parts independently! Do you love singing, but are you still hesitating? Are you extremely enthusiastic and want to start right away? CHOIRS WANTED: In the Krijtberg, there is plenty of opportunity to join the Eucharist celebration as a guest choir on Sunday mornings (09:30). The Krijtberg is looking for choirs for every Sunday of the month. The minimum expectation is to sing the standard liturgy of a polyphonic mass (Kyrie, Gloria, Sanctus/Benedictus and Agnus Dei) in the appropriate places. Any additional music can be sung by mutual agreement. 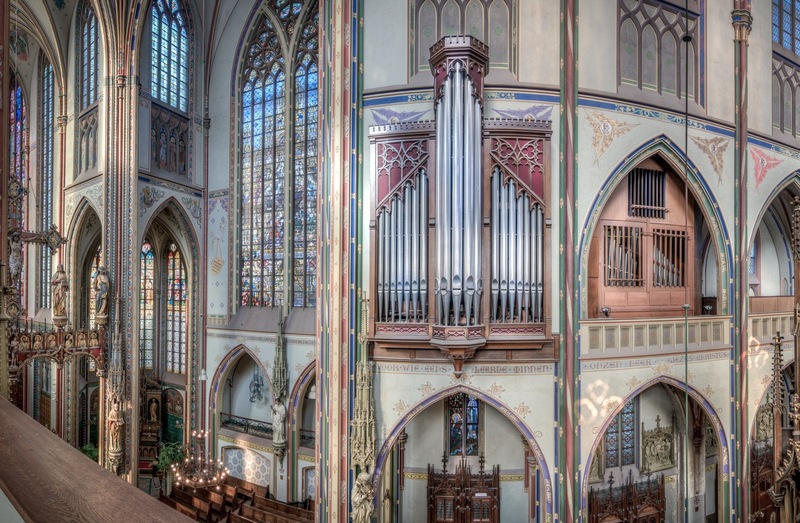 This is an ideal opportunity to sing in one of the most beautiful churches of Amsterdam. Sunday morning H. Mass at 11:00. 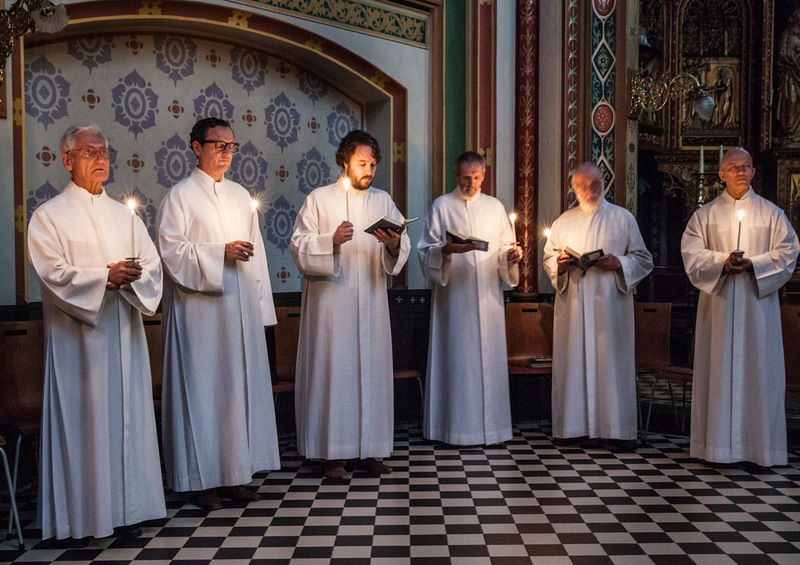 Schola Cantorum of the Krijtberg: come and have a look and listen on Sunday morning at 11:00 or contact us by email at lbhmstuifbergen@gmail.com. The hymns for the following Sunday, sung by our Schola Cantorum, can also be heard at our SoundCloud-profiel.